Refrigeration, Winter Haven, FL | Johnson’s Mechanical Inc. Refrigeration, Winter Haven, FL | Johnson’s Mechanical Inc.
We are able to provide the necessary maintenance and servicing to keep your refrigeration units working their best in Winter Haven. Do you carry specific products that need to remain at a specified temperature? Do you have commercial refrigeration units that are acting up and putting your products at risk? When you operate a business that relies on refrigeration to supply your customers with the products they need, you also need an experienced company that is equipped to install, repair and maintain your refrigeration units in Winter Haven, Florida. At Johnson’s Mechanical Inc., we are prepared to meet this need by providing you with high-quality services that keep your refrigeration units working their best. From frozen goods to food products and medicines at your pharmacy, refrigeration units are used for many different purposes. When something goes wrong with one or more of your units, you may find yourself panicked that your products are at risk. At Johnson’s Mechanical Inc., we are able to provide the necessary maintenance and servicing to keep your refrigeration units working their best, and we can even discuss routine maintenance options that give you peace of mind. 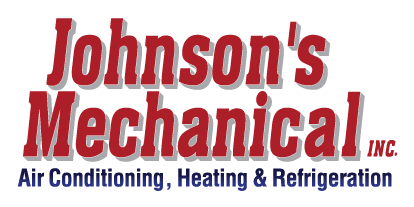 When your business relies on refrigeration, you need a company you can rely on to keep your business going, and that company is Johnson’s Mechanical Inc. Contact us today to schedule an estimate on our services or discuss your needs for servicing. From commercial air conditioning to refrigeration and commercial heating services, no job is too big or small for our team. Let our professional technicians provide you with honest services that leave you completely satisfied with the results.